Papi, an important underground crime boss, unexpectedly passes away at an early age. At his wake, his family tries to celebrate his passing as he would have wanted, but it is difficult not to mourn. The wake is turned upside down when a young woman named Daisy arrives: she was requested to make an appearance at his wake by Papi himself to reveal herself as his seven-year lover. Not only does this strong independent woman have to cope with her lover’s family, but she also must help her lover’s partner pay off an old debt to some dangerous people or else all who were close to Papi will face dire consequences. 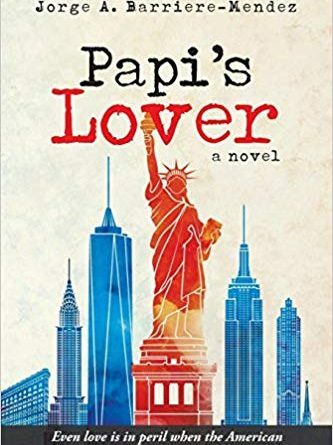 With two short story collections and one nonfiction work already published, Papi’s Lover is the first work of fiction by author Jorge A. Barriere-Mendez and a different sort of love story that is dark, gritty, unique, and real. For readers who are just being introduced to his work, they are in for a treat upon reading his newest novel. He is an excellent storyteller and one to break the mold of predictable stories in this genre. The story may be short, but there is admirable development in the plot and the characters as well as skillful use of descriptive detail and personification, painting a vivid picture in the readers’ mind. Barriere-Mendez truly has a talent for writing characters for he portrays them as everyday people. Everything his characters feel and do is so realistic, which makes the story even more believable, almost like this fictional book actually happened in the past. Take Daisy, Papi’s lover. She is one of the main two characters readers will follow and, surprisingly, she is incredibly likeable. One would assume with stories such as these that readers should hate the woman trying to steal the main man from his wife and family. She is a strong, independent young woman who is calm under pressure and always looks for a solution rather than a conflict. Yet when she is alone, she allows her doubts and fears to flow freely so then she can be strong for her kids and for Papi’s partner, Primo, when she is with them. This makes her a very real and believable character. There are not many characters, but each is given detailed backgrounds and they all get some attention so then the readers have no questions about who any of them are or where they end up. From a first glance at the synopsis, one would think Papi’s Lover to be a dark, hard times are happening, and Papi is dead making his lover, Daisy, obsolete, right? However, Barriere-Mendez broke that mold readers expect to find in a story such as this and focused more on two rather surprising elements: life and love. Of viewing life in a different light and living it rather than allowing terrible events to dampen the spirits. Of knowing, even when someone feels all alone in their world, there is someone else out there who loves and cares about them and will be by their side no matter what. When it comes to life, Barriere-Mendez portrayed how crazy it can and will be perfectly. “Life is like that sometimes, it switches on you, changes colors. You blink and there’s another reality out there. Of course, all changes happen inside, where an engine starts up impulsively and then you’re at another speed, another pace” (Barriere-Mendez 90). The characters endure many hardships, yet in these hardships, the characters were able to find the good in life, too, even if it was just a sliver of hope. That sliver of hope most often, even in reality, is love. Love from a family member, lover, complete stranger, it doesn’t matter. When one is loved, truly loved, by someone, it is wonderful. Barriere-Mendez refers to love in many different ways: as being shot by a drunken Cupid, as being a fool, as a wonderful invention, as a discovery, as insanity, as moving at the speed of light, simple, yet complicated. Isn’t all of this what love really is? It is easy to believe that every human who has ever been in love or who has ever dreamt of love would explain love the way Barriere-Mendez. The only element keeping this book from getting a perfect score is the editing. Unfortunately, from an editor’s point of view, it does need a bit of maintenance and care. The story jumps between past and present tense quite frequently, making it difficult to figure out which tense Barriere-Mendez wished to write in. With it happening in the 1980s, perhaps past tense would have worked best for this story. Another frequent element that jumps is the point of view. Barriere-Mendez does an excellent job of jumping between characters to allow the readers to go into each of their minds; however, he could not decide from which point of view to write. He jumps from first to second to third person as frequently as his tense jumping and this throws the readers off at times. With some concrete choices made on tense and point of view, along with a bit of clean up on misspellings and punctuation, this book as a whole is worth five stars. 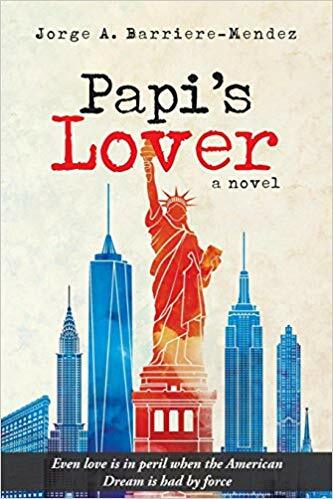 Papi’s Lover is an excellent read for anyone looking for a break in the love story mold and for anyone looking for a unique and real author. Barriere-Mendez offers descriptive and detailed storytelling, a well-executed plot, and well-developed characters. It is the next book for anyone to read and do not let its size be deceiving, for there is a lot of story in this small book. While Papi’s Lover ends in a way that would not hint at more books, it is actually the first in a trilogy. This is a rather exciting surprise for readers as they will be able to read even more of the story Barriere-Mendez has created, hopefully in the near future.